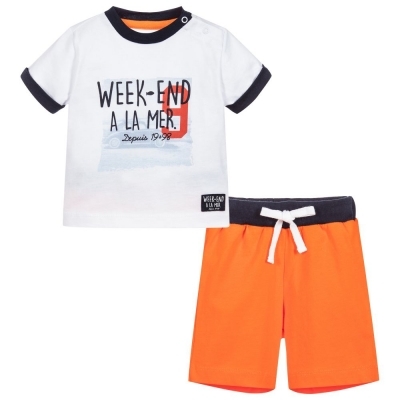 Super cute set, composed by a white t-shirt and orange shorts. The t-shirt has a superb print on the chest. Shorts are provided with a navy elastic belt and white laces.